Mark Knopfler will release his ninth solo studio album on 16 November 2018 on his own British Grove label via EMI Music Australia. Entitled ‘Down The Road Wherever’ it features 14 unhurriedly elegant new Knopfler songs inspired by a wide range of subjects, including his early days in Deptford with Dire Straits, a stray football fan lost in a strange town, the compulsion of a musician hitching home through the snow, and a man out of time in his local greasy spoon. Mark has a poet’s eye for telling details that infuse his songs with his unique psychogeography – ‘where the Delta meets the Tyne’ as he describes it – and his warm Geordie vocal tone and his deft, richly melodic guitar playing are as breathtaking and thrilling as ever. Knopfler has assembled the same group of top flight musicians he has worked with for the last few years (with one or two new faces). As is his way he encourages them to put their own stamp on the material but never interfering in the essence of the song. ‘Down The Road Wherever’ has been produced by Knopfler and Guy Fletcher and was recorded at British Grove Studios in London. 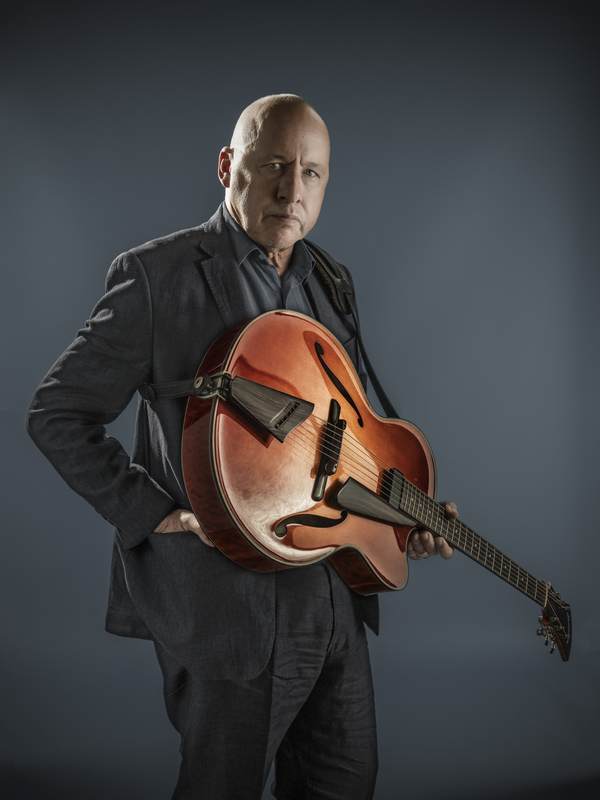 The band features Mark Knopfler on guitars, Jim Cox and Guy Fletcher on keyboards, Nigel Hitchcock on saxophone and Tom Walsh on trumpet, John McCusker on fiddle, Mike McGoldrick on whistle and flute, Glenn Worf on bass, Ian ‘Ianto’ Thomas on drums and Danny Cummings on percussion. Richard Bennett and Robbie McIntosh also feature on guitar and Trevor Mires on trombone. Imelda May, Kris Drever, Lance Ellington, Beverley Skeete and Katie Kissoon add backing vocals. 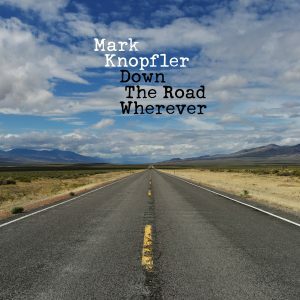 All songs are written by Mark Knopfler apart from ‘Just A Boy Away From Home’ where he shares the credits with Rodgers and Hammerstein, as the song uses a piece of ‘You’ll Never Walk Alone’ to spin its tale of a lone Liverpool fan wandering the empty streets of Newcastle after midnight. Mark Knopfler has released eight solo albums as well as recording ‘Neck And Neck’ with guitar great Chet Atkins, and collaborated with Emmylou Harris on ‘All The Roadrunning’. He has created soundtracks for ‘Local Hero’ and ‘The Princess Bride’ and ‘Altamira’. In addition to producing his own records Knopfler has also produced albums for Bob Dylan and Randy Newman amongst others. Knopfler was made an OBE in 1999 and was given the prestigious Lifetime Achievement Award at the Ivor Novellos in 2012. ‘Down The Road Wherever’ will be available on digital DL, CD, double vinyl (with one bonus track), deluxe CD with two bonus tracks, and a lavish box set that will include the album on both vinyl and deluxe CD and an additional 12”vinyl EP with 4 bonus tracks, a 12” print of the artwork and a 12” guitar tablature of a selected song.